How to win customers over is always the most important issue for online businesses. Different from real business, online store owners can’t see the visitors in real time, let alone converting them into loyal customers. 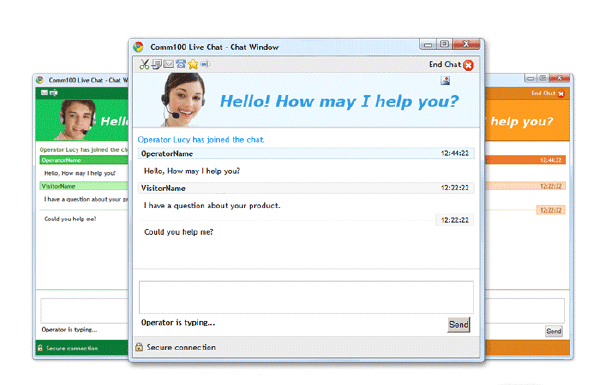 Comm100 Live Chat provides a good solution for online businesses to improve customer satisfaction and increase sales. Comm100 Live Chat is a website chat solution which enables online businesses to track, monitor and communicate with site visitors in real time. It can be used by sales team as an effective way to identify and convert potential customers, as well as by the support team to address customers’ concerns in real time and provide superior customer service. Why you should implement Comm100 Live Chat to Your Website? 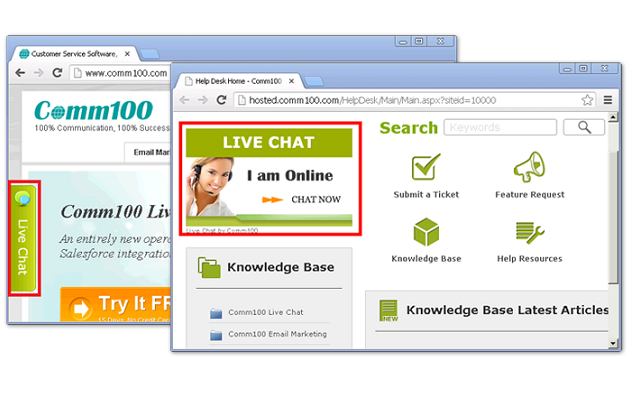 With Comm100 Live Chat, the visitors can start a chat simply by clicking the chat button. It is a more convenient and efficient support way compared to email or phone. They can easily get access to you whenever they have a question and can get immediate help. Comm100 live chat greatly reduces the response time and improves customer satisfaction. Once the visitors get satisfied with your service and support, they have a greater opportunity to purchase products from your store. Before converting visitors into customers, you should make clear that who is your potential customer and which product he is interested. And this is just the issue many online businesses can’t figure out. 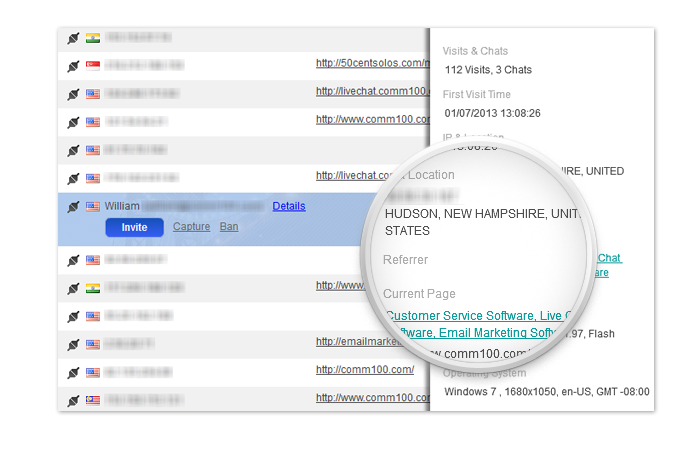 With Comm100 Live Chat, you can track the visitor navigation history easily, such as what page he is viewing, how long he has stayed on the page, where he comes from, etc. Then you can identify the visitors in great purchasing potential and clearly knows his point of interest. You can also figure out which products attract visitors most and can adjust your sales campaign according the full analysis of visitors’ behavior. Once you have identified potential customers, you can send personalized chat invitations proactively with Comm100 Live Chat, which helps online businesses improve sales conversion. If the visitor comes to your site first time, it may be a greeting message; if the visitor has stayed on a specified product page for a long time, it may be a promotion about the product. 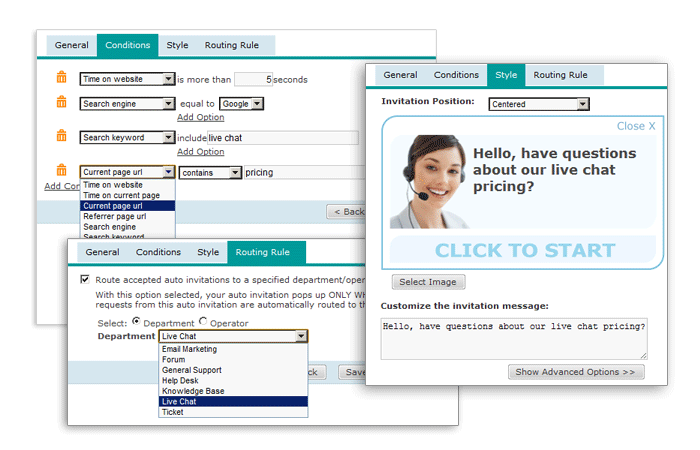 If there are too many visitors out of your capability, you can set up multiple auto invitation plans and configure the invitation rules, invitation style and message. The factors used to form invitation rules include time on website, time on current page, current page URL. 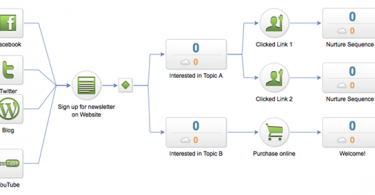 The auto intelligent invitation rule makes online businesses to make use of each sales opportunity in an efficient way.